LG's interim 'creators' phone isn't a huge leap forward, but it's not without its charms. The LG V30S ThinQ isn't a completely new phone, but there are enough new goodies to warrant taking another look at its camera, ahead of a deeper dive on the phone in its entirety. We know it has a fantastic range of features for mobile videographers and vloggers -- arguably the new 256GB storage option is aimed at these users. But how about these newly introduced camera features? Are they worth having? Is the AI cam better than my own judgement? And what about Bright Mode? Can algorithms save blurry night shots? 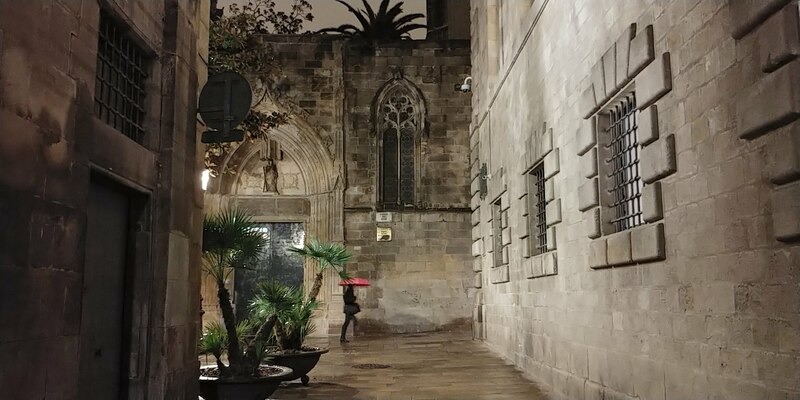 We went out on an (inadvertently) wet and chilly Barcelona walking tour one evening to test these new camera tricks. 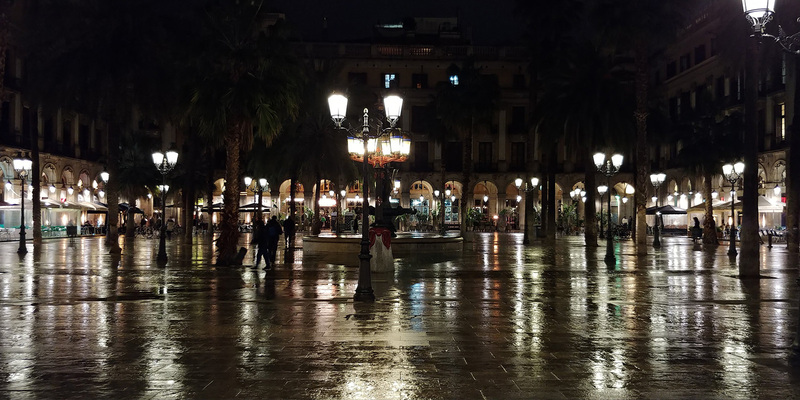 Are they' enough to dethrone the likes of the Pixel 2, or at least reassess the V30 series when it comes to low-light photography? There's a simple toggle inside the main camera app, and once activated, the phone tries to suss out what it's looking at. During this, descriptive words appear and disappear on screen, as a neat little signpost of what the AI thinks it's looking at. Once it's come to its conclusion, a handy vibration lets you know that it's calibrated for what the V30S has decided is in front of it. You'll also see the presets in action, giving a live view of "food" mode before you press the shutter. The correct shooting mode kicked in just about every time. Mistakes happened, but over a good day of shooting with the V30S ThinQ, I didn't encounter many. During a low-light centered evening, the phone understandably took a little longer to figure out what it was looking at. What does this "AI" Cam do then? It depends. Just like those presets from cameras of yesteryear, it might crank up the contrast or rein in brightness on city shoots, or boost colors for sunsets, portraits and food blogging. Judging from the images, there are no AI smarts here with regards to how it massages your pictures: the smarts are all baked into image, or scene, recognition. I really like the AI cam. It's simple and eminently user-friendly. You don't think about it and it leaves more time for doing things and less time fussing over camera settings and filters. 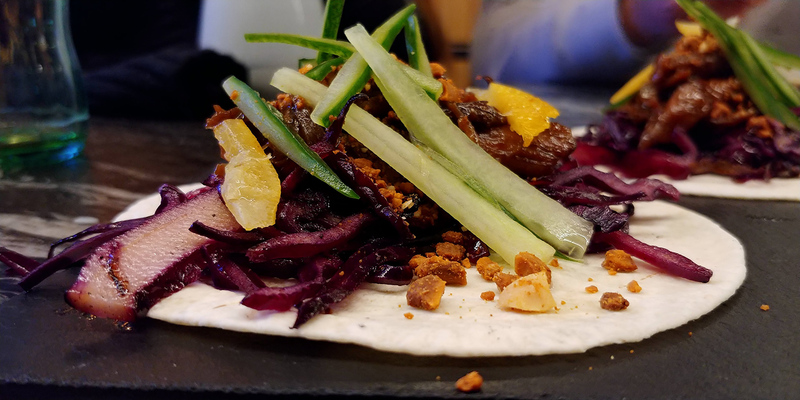 During a night out where red wine may have been imbibed, I could grab more shots of co-workers, friends (and their food) without excess tinkering or labored posing. That said, I wasn't always happy with the results. Food shots often suffered from fuzzy edging -- excess fake bokeh was the culprit. The colors were sometimes excessively ramped up, too. Usually, that's what I do with my own food pics though. So how about Bright Mode? LG's attempt to improve low-light shooting is an algorithm-based one, aimed at improving photos the V30S would otherwise struggle with. According to the company, it squeezes image resolution lower, which allows for brighter, if less detailed, results. With this test model V30S ThinQ, I didn't glean any remarkable changes in results, toggling the mode on and off. I gave it the benefit of the doubt and tried it out a second night, and still saw barely any differences. Pixel binning is definitely at work, with both images shrinking to roughly four megapixels each. I wish I could see how images looked before and after, regardless of the resolution crunch. Which shot would have been better? I'll never know. We've reached out to LG after issues during our video shoot-out, to double check we were using the settings correctly. Bright mode doesn't kick in for 4K and 60 fps video, nor when using the wonderful wide-angle lens on the V30S, but we weren't using that when we took our low-light shots here. My suspicion is that the phone is always using the Bright Mode, even if the icon display (and menu toggle) says it isn't. I would prefer a Bright Mode that wasn't switched on by the whims of the phone's own software. Let me decide, okay? I tested the V30S alongside the wonderful Pixel 2, which takes stupidly good photos most of the time. The bigger camera sensors on LG's new phone pulled in more detail but I preferred the results on the Pixel phone overall. 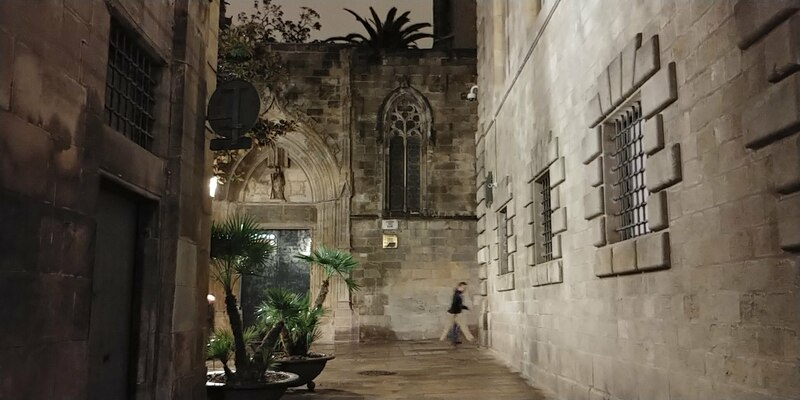 It seemed to have a more pleasant distribution of light and contrast on these photos of Barcelona Cathedral. The Pixel 2, however, is a younger phone than the original V30 (the hardware, remember, is largely the same in the V30S), so it might not be all that shocking that it's still the handier smartphone camera. The V30S's camera software upgrades add to the experience, but mostly help round out the phone's weaknesses in still photography. Let's see what LG does next: We shouldn't have too wait too long.